Description: Using UML diagrams for visual modeling will help you improve the final software products or system. 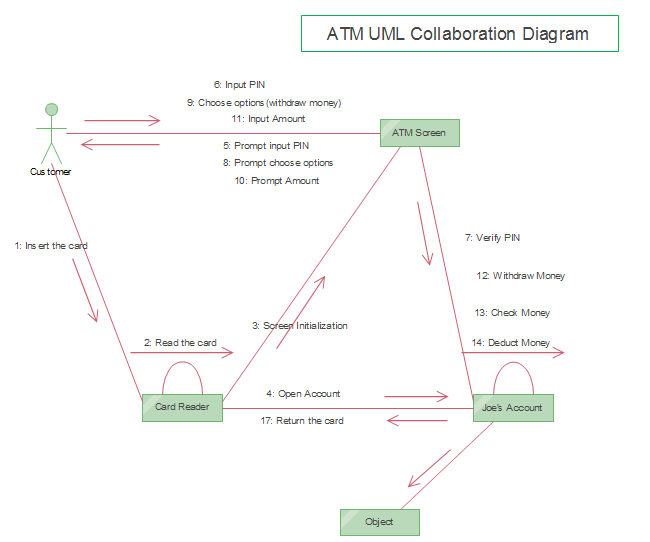 Here a free ATM UML collaboration diagram template is provided for download. If you need to get started fast, modifying existing uml examples is a nice choice. It's available in both PDF and editable formats.